In addition to creating graphical interfaces via web servers such as Node.JS or Python and TKinter, we also have the option to run GUIs that were created by Visul Studio on the Raspberry Pi. These are created via Windows and then made executable on the Raspberry Pi. Not much is needed! 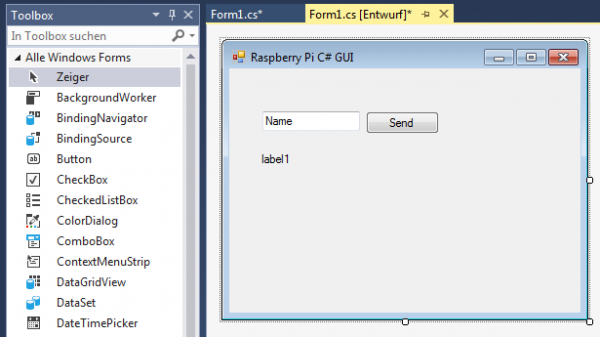 In this tutorial we created a small test GUI and prepare everything so that we can open user interface that is written in C# on the Raspberry Pi as well. In addition to a Windows PC (Win7, Win 8, Windows 10) you need a Raspberry Pi with user interface. Raspbian (no Lite version) with installed desktop is recommended. If you are new to Visual Studio, C #, .NET, and GUI building, we recommend a small but helpful guide. In addition, Visual Studio must be on our computer. First of all, we have to install Visual Studio. This is available for free in the Community Edition. Download it on your Windows PC and install at least the .NET desktop development environment, which is about 5GB in size. It takes a while and you have to restart the computer. 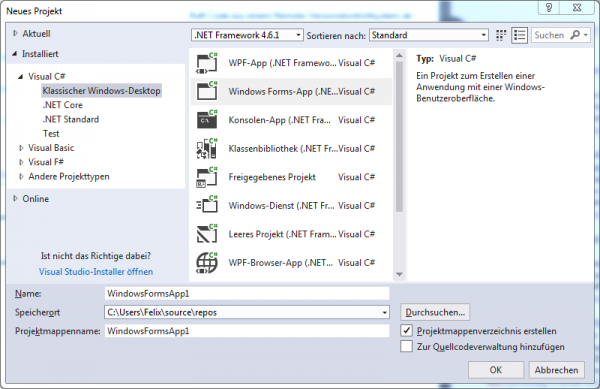 After the installation, open Visual Studio and choose File -> New -> Project -> Visual C# -> Windows Forms App (.NET Framework). With it we can start a new project. Enter the name and location below. You can set further details and create a nice GUI very fast. In our example, it should only be about the fact that the text is read out and displayed on the label as soon as the button is pressed. Nothing special – the entered name of the text box is read and just written in the label. Of course you can extend your GUI as much as you like! You can find more information here. Then, we save the project and compile it. Click on the “Start” button at the top of the taskbar. Your program will open and you can already test it. Now open the directory where your project is located and change into the “bin/Debug” folder, which contains the compiled “WindowsFormsApp1.exe” file. These will be copied to the Raspberry Pi in the next step. If everything went well, we will now copy the .exe file to the Raspberry Pi. This is easiest via FTP. Connect with a FTP client (like FileZilla) and transfer the file to a directory (for me this is /home/pi/CustomGUI/). Now open the desktop environment. 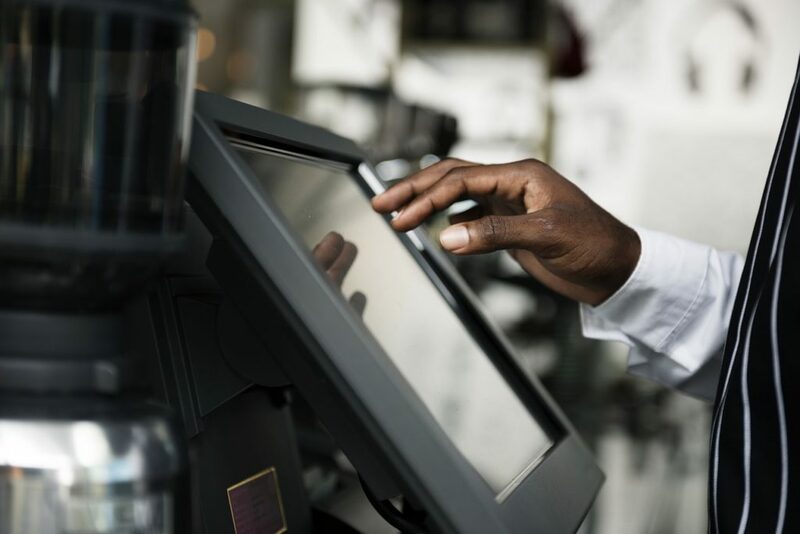 Either by logging in with a screen / touchscreen or by using the Remote Desktop Protocol (RDC), for example. You can now start this file by double clicking. Nice tutorial, but how about to start the WindowsFormsApp1.exe on the raspberry from a windows client ? do you know how to do that ? 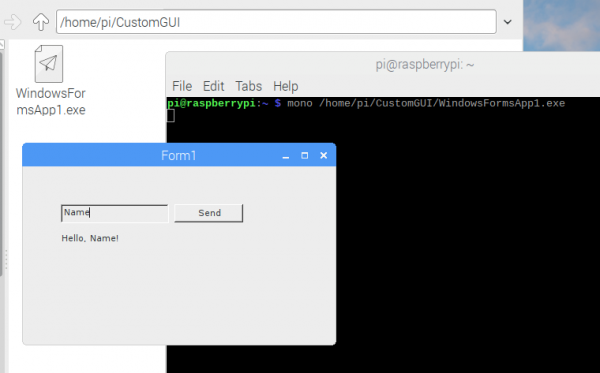 dijilius – you can remote into the raspberry pi. Check out xrdp or VNC. I want to make a device to drive a machine. But i want to drive the machine using C# GUI Application. this app contain a MS Access database to save some data and machine Process config. to genarate report. Please tell me the Solution about this. Install Windows IoT and you can have one foreground app running..